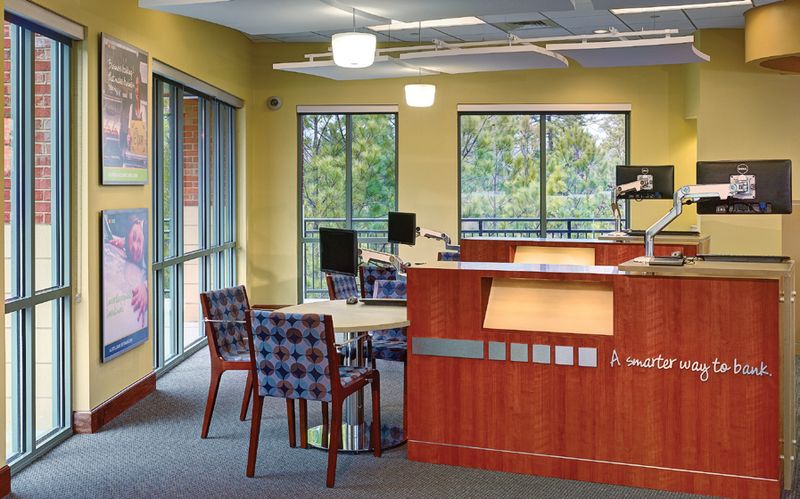 LGE Community Credit Union is a multi-facility client of CBI in the metro Atlanta market. 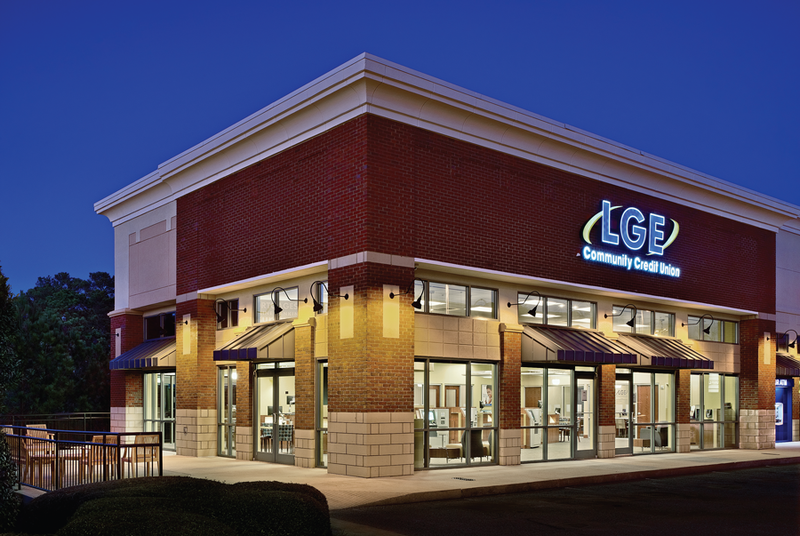 LGE was formerly Lockheed Georgia Employees FCU prior to a name change and a complete makeover of the credit union. 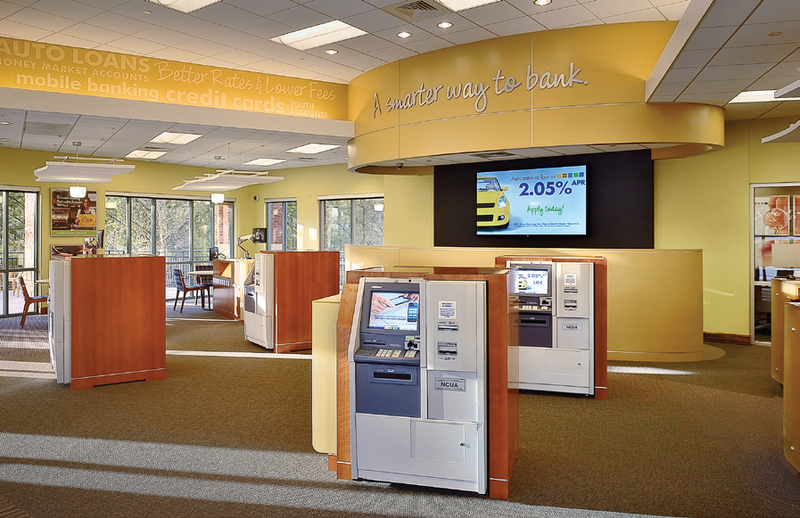 CBI was contracted to design and construct new branches and incorporate the new look and feel of the credit union to all facilities within their portfolio. 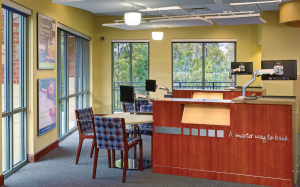 The Roswell branch is 3,342 SF and is the first of the next generation of financial centers for LGE. The delivery model for this branch relies solely on ATMs. This frees up the associates to focus their attention on serving the members in a more profitable manner. With the successful opening of this branch there are several more locations slated to receive this forward-thinking approach toward banking.